^ "Using Quality Objectives to Drive Strategic Performance Improvement". Qualitydigest.com. Retrieved 2017-08-18. ^ "OBJECTIVE OF THE SAMPLE MANUAL" (DOC). Isopocketguides.com. Retrieved 2017-08-18. ^ "ISO 9001 Quality management". ISO. Retrieved 2018-12-18. ^ a b Wade, Jim (May–June 2002). 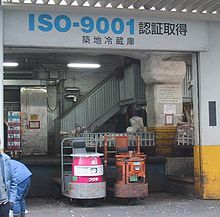 "Is ISO 9000 really a standard?" (PDF). ISO Management Systems.